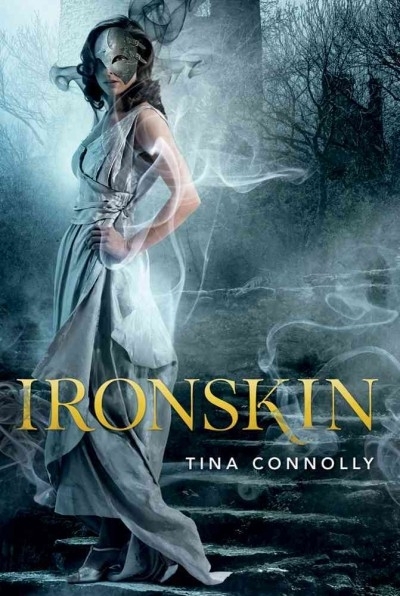 I’m reading Tina Connolly’s debut novel Ironskin and loving it. It’s been described as Jane Eyre with fairies, and I can see why, but that doesn’t do justice to the fascinating world building that she’s done in creating a world where the Great War was fought against the Fae. Here’s Tina to talk about her Favorite Bit. Ironskin is a secondary-world fantasy, although I read lots of books about post WWI Britain to aid me in giving it a solid sense of place. 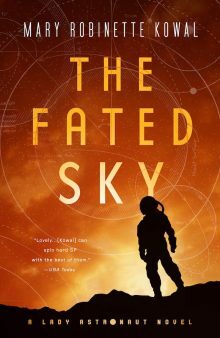 It takes place five years after a devasting human-fey war—and worse, humans have become largely reliant on clean, cheap fey technology—which is now gone. So, many things loosely parallel our world, but the technological levels end up being quite different—both better and worse. One of my spin-out-and-ponder moments was over fashion. I wanted to cue the reader that though this is a gothic novel with elements of Jane Eyre, we are not in an alternate 1840’s. I focused on late interwar styling to try to evoke the more modernish times that Jane is living through. There’s a scene where she finds a bunch of stored dresses in the attic, and again, I used dress styles that would hopefully be familiar to the readers to give a sense of history to the novel. For example, Jane puts a “cream muslin with green flowers and an empire waist” at about 150 years old. I spent a long time thinking over what to use for “pre-war” styling and ended up describing dresses with more of a flapper feel—handkerchief hems and dropped waists. Another favorite worldbuilding bit was thinking over the history of the dwarvven. They are engineers and designers—but they are also poets, readers, and writers (particularly things of the blood-soaked gothic variety). They used to be more-closely allied with the humans, but 200 years ago, after the sudden death of Queen Maud, her nephew declared them “immoral and possibly regicidal” and connections were severed. 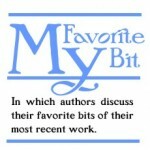 Jane bonds with one of them over books—which meant I got to come up with a synopsis for a dramatic tale of adventure that involves alchemy, sea dragons, and pirates. I’ve been working on the sequel to Ironskin this year and I suddenly realized that one of the key dwarvven locations was clearly going to have to be a used bookshop. I said Ironskin was a secondary world fantasy, but it’s also in many ways a world that parallels ours. So I did tweak some things from our world—turn them at right angles and slip them in. Mostly the literature. Twelfth Night becomes Thirteenth Night when Jane quotes it, for example, and then I realized that if Shakespeare wrote A Midsummer Night’s Dream in this world, it would certainly not be one of his comedies, or even his romances. . .but one of the tragedies. Oh yeah, and one last favorite bit that has nothing to do with worldbuilding. . .but I have to mention it here because it’s something I had to delete. There’s a character (Martha, the maid), who is described as speaking in words of one syllable. (This was fun to write, as you can imagine—a nice challenge to make this factually true and yet not sound contrived.) Well, at one point Martha leads Jane into the attic, and she mentions to watch out for the mousetraps. Except, when I looked down at my screen, what I had subconsciously written was “mouse traps”. Naturally, Jane (and I) immediately said to Martha, “Mousetraps is one word with two syllables.” Of course this was highly distracting, and although Ironskin engages with the Jane Eyre text, it doesn’t do so on any meta level where Jane should be copyediting Martha’s speech. But it was greatly amusing to me, and I was sorry to axe it. But really, the great thing about worldbuilding is that nothing’s wasted, even if it’s never seen. It’s like the iceberg, you know? To get the top 10% to act like an iceberg, you have to at least sketch out the 90% that’s beneath the ocean. . . .
Tina Connolly lives with her family in Portland, Oregon. Her stories have appeared in places including Strange Horizons, Lightspeed, and Beneath Ceaseless Skies, and she reads stories for Podcastle, BCS, and her flash fiction podcast Toasted Cake. She works seasonally as a face painter, and she kind of wants to write that book about the pirate who kidnaps the Court Alchemist’s daughter. and she kind of wants to write that book about the pirate who kidnaps the Court Alchemist’s daughter.